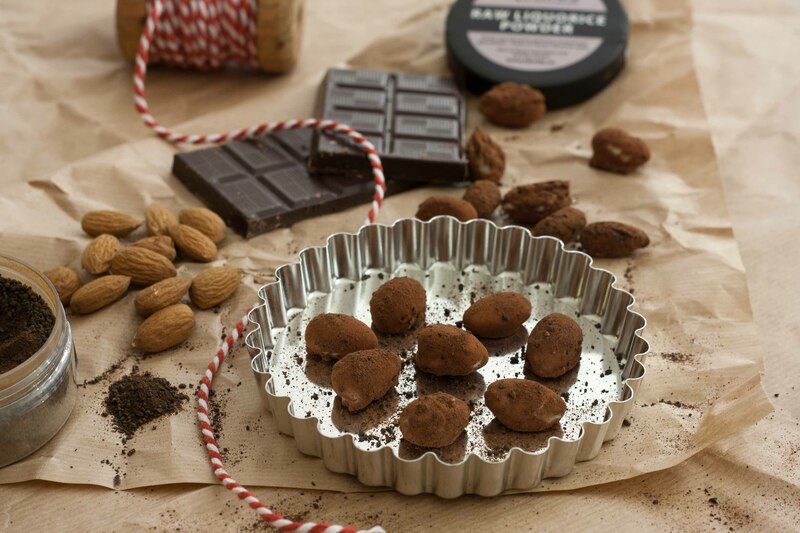 This is a recipe for the most delicious chocolate covered almonds. They are very easy to make and they are a super snack, especially for Christmas or other special occasions. 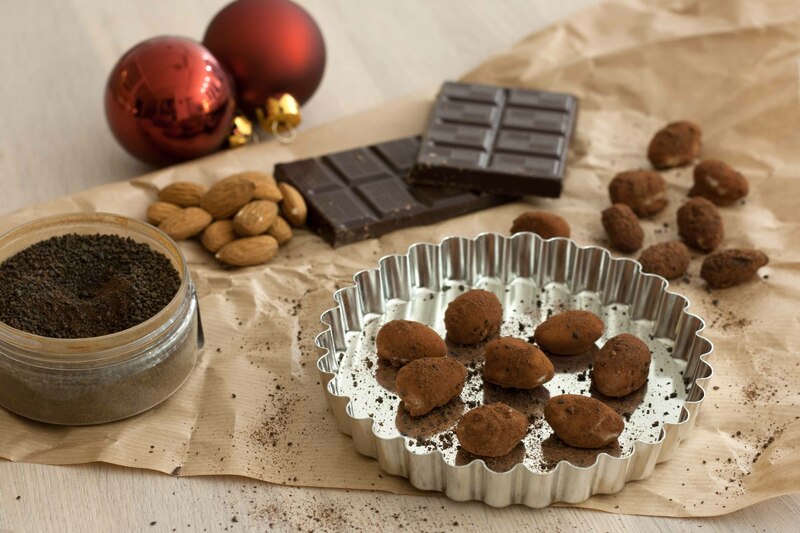 As said the recipe is very simple, you simple just roast some almonds in the oven for about 10 minutes, dip the in some melted chocolate and finally roll them in cocoa powder. In Denmark, and the Scandinavian countries in general, liquorice is a very popular sweet. We think that liquorice it’s a very Nordic thing be course we always have a hard time finding this sweet when we are traveling abroad. 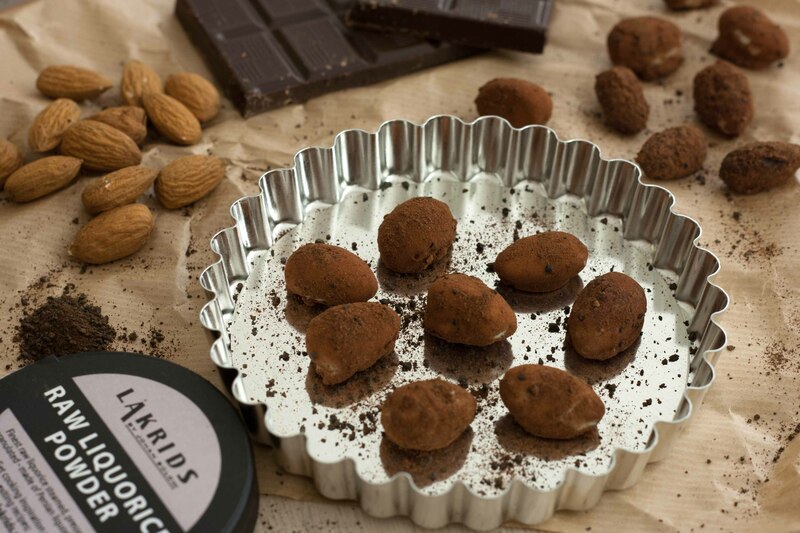 Besides rolling these chocolate covered almonds in cocoa we also like to roll them in liquorice powder which gives when a nice and fresh taste. We also like to double dip the almonds in the chocolate so that they get a nice and thick layer of chocolate. 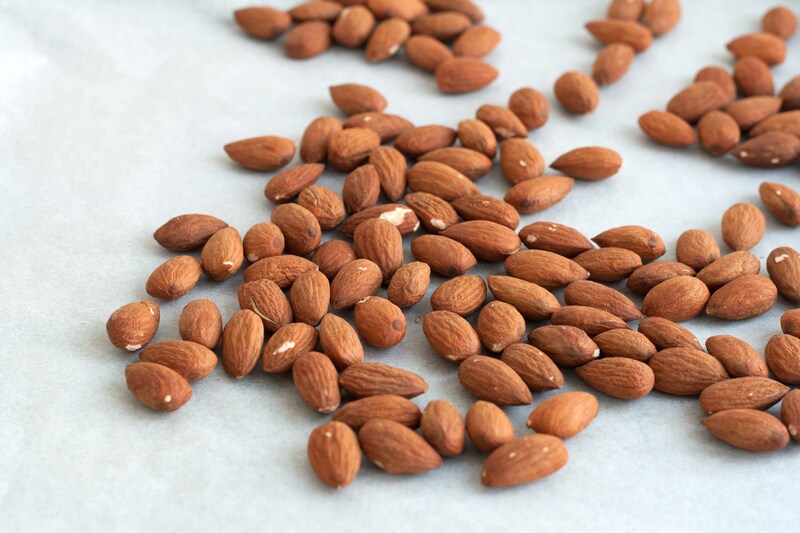 Step 1: Roast the almonds on an oven tray in the oven for about 8-10 minutes at 180 C (360 F). Step 2: When the almonds are roasted let them cool off a bit. Step 3: Mix the cocoa and liquorice powder together. If you don’t have any liquorice powder you can just use cocoa powder. Step 4: Melt the chocolate by placing a heat resistant bowl in a sauce pan with water at the bottom. The bowl should float. Chop the chocolate in large pieces and pour it in the bowl. Slowly heat up the water and let it boil lightly. The chocolate will now melt slowly. Be careful not to get any water down in the chocolate melt or it will clump together. 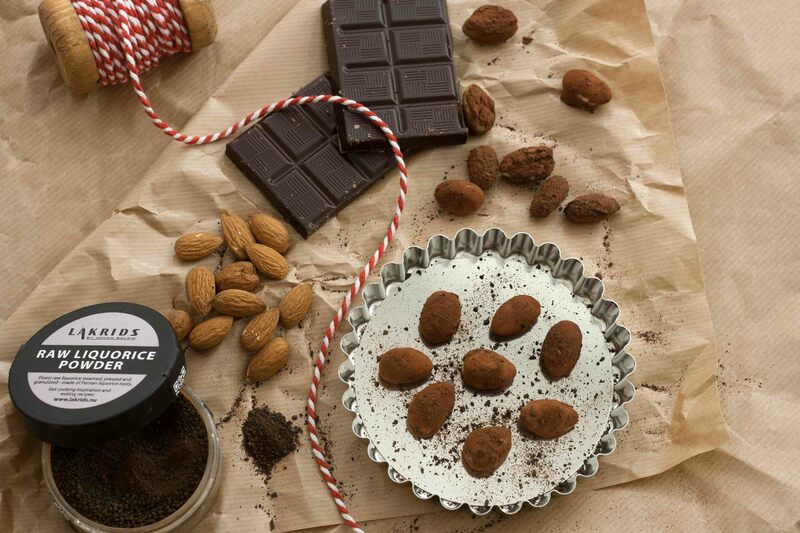 If you are using both white and dark chocolate, to decorate your almonds, of course don’t melt it at the same time. Step 5: Pour the almonds into the melted chocolate and mix them around. Step 6: Use a fork to take up the chocolate covered almonds and place them on a sheet of parchment/baking paper. Let the chocolate solidify. Step 7. Now put the chocolate covered almonds into the chocolate melt one more time. This will give them a thicker layer of chocolate. Step 8: Take the almonds up and let them cool off – before the chocolate it completely solidified roll them in the cocoa/liquorice powder. Of course if you don’t have liquorice powder, cocoa powder will do it.